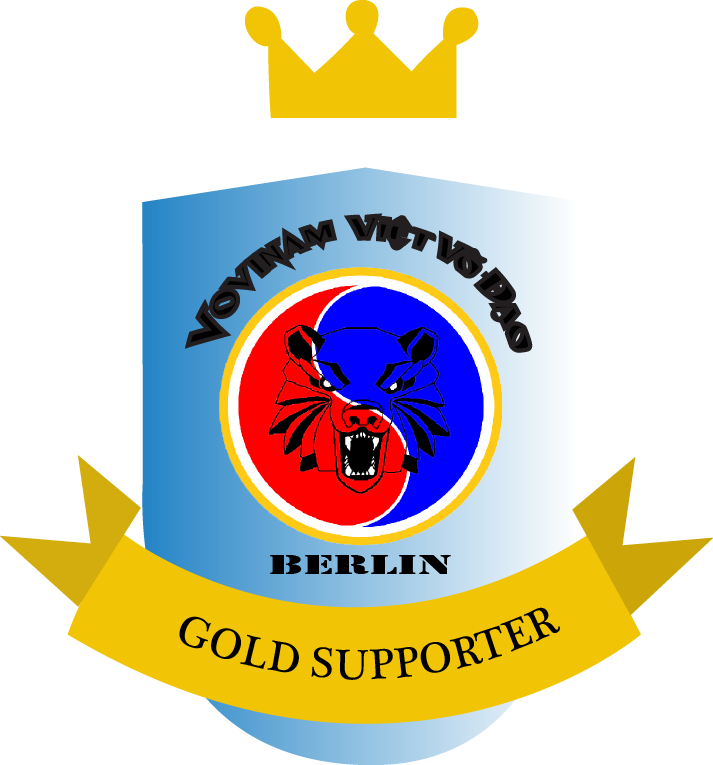 SUPPORT VOVINAM BERLIN TEAM ! Through donations and sponsorships, you allow the team to move forward with its mission: bring Vovinam to as many people as possible, and most importantly, to help buying more training equipments and to help organize our biannual Vovinam events and seminars here in Berlin for our members. You’re awesome, you support the team with your time and hard work. Your name will be on the website forever. You pledge 10 to 50 euros to Vovinam Berlin team. Your name/brand will be on the website forever. We give you a Vovinam Viet Vo Dao keychain. You pledge 50 to 200 euros to Vovinam Berlin team. Your name/brand/logo will be on the website forever. We give you a Vovinam keychain, a t-shirt of the size of your choice with our new cool logo. You pledge 200 to 1000 euros to Vovinam Berlin team. Your name/brand/logo will be on the website forever. We give you a Vovinam keychain, a t-shirt and a pullover of your choice with our new cool logo. We put a logo of your brand on our website and a thank you message. You pledge more than 1000 euros to Vovinam Berlin team. Your name/brand/logo will be on the website forever. We give you a Vovinam keychain, a t-shirt and a pullover of your choice with our new cool logo. We put a logo of your brand on our website and a thank you message. Your brand will be printed on Hoang’s car and run around Berlin city for a year! You choose how your brand will be printed. It’s limited to one side of the car only. HOW DO I DONATE ? Give the money directly to Hoang in the gym, when we meet in person, or send an IBAN to Hoang’s account, please contact him in person to get his IBAN account. All the donated money will be publicly visible on the clubs’ website. The martial art is for everyone, you're encouraged to attend two initial free trial trainings.